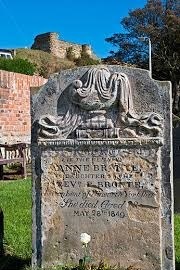 Anne Brontë died on 28th May 1849, 169 years ago to this day. Her resting place still brings literary pilgrims from across Britain and beyond to the auxiliary churchyard of St. Mary’s Church and in many ways its location is perfect. Anne Brontë loved Scarborough, the sea air, the sound of seagulls, the crashing of wave upon rock, the sand beneath her feet; these were the very essence of life to her; now they surround her physical form in its rest. 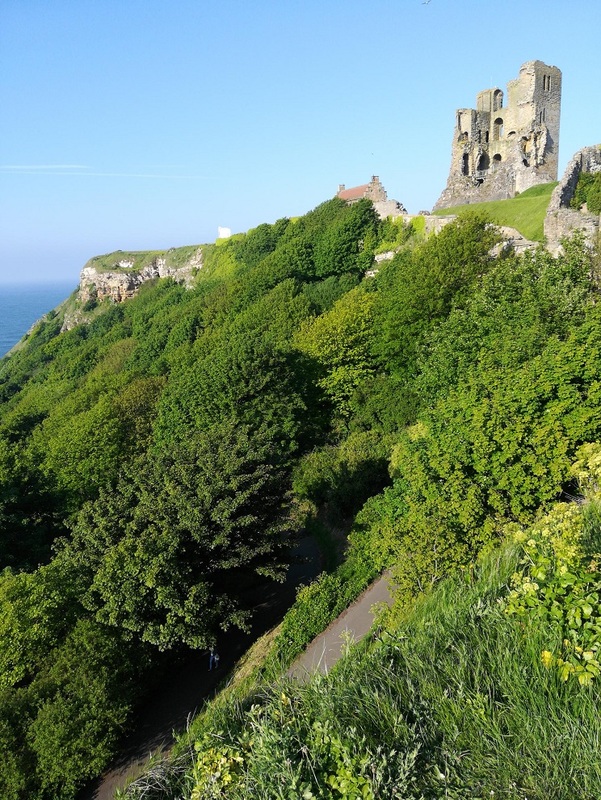 She lies below Scarborough Castle, where Reverend Weston proposed to Agnes Grey, and above the sea that she had dreamed of since childhood stories of Penzance told to her by Aunt Branwell. The majestic Scarborough Castle that forever guards Anne Bronte below. I leave you with it now, but whether you remember Anne in Scarborough, Haworth or in your home, we will miss her, and mourn what she could have achieved given time, but we don’t mourn Anne, for in a very real sense she is still among us. ‘She left her home May 24th, I849 – died May 28th. Her life was calm, quiet, spiritual such was her end. Through the trials and fatigues of the journey, she evinced the pious courage and fortitude of a martyr. Dependence and helplessness were ever with her a far sorer trial than hard, racking pain. The first stage of our journey was to York; and here the dear invalid was so revived, so cheerful, and so happy, we drew consolation, and trusted that at least temporary improvement was to be derived from the change which she had so longed for, and her friends had so dreaded for her. By her request we went to the Minster, and to her it was an overpowering pleasure; not for its own imposing and impressive grandeur only, but because it brought to her susceptible nature a vital and overwhelming sense of omnipotence. She said, while gazing at the structure, ‘If finite power can do this, what is the…?’ and here emotion stayed her speech, and she was hastened to a less exciting scene. Her weakness of body was great, but her gratitude for every mercy was greater. After such an exertion as walking to her bed-room, she would clasp her hands and raise her eyes in silent thanks, and she did this not to the exclusion of wonted prayer, for that too was performed on bended knee, ere she accepted the rest of her couch. 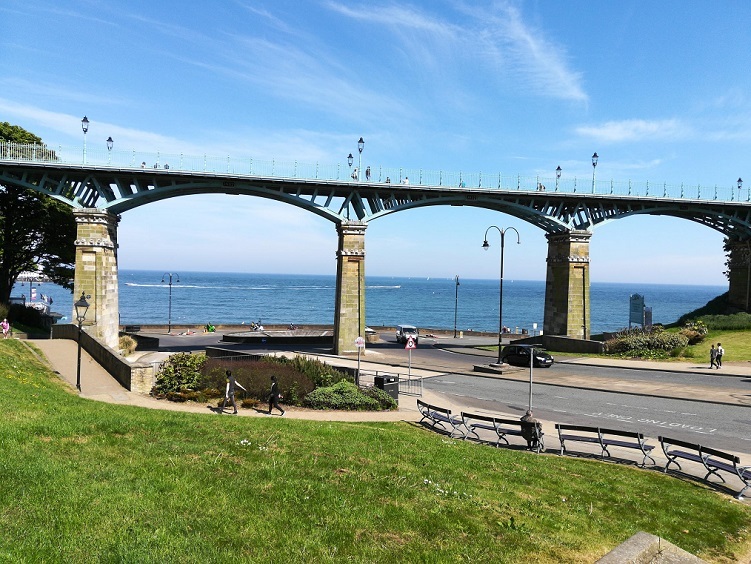 On the 25th we arrived at Scarborough; our dear invalid having, during the journey, directed our attention to every prospect worthy of notice. On the 26th she drove on the sands for an hour; and lest the poor donkey should be urged by its driver to a greater speed than her tender heart thought right, she took the reins, and drove herself. When joined by her friend, she was charging the boy-master of the donkey to treat the poor animal well. She was ever fond of dumb things, and would give up her own comfort for them. On Sunday, the 27th, she wished to go to church, and her eye brightened with the thought of once more worshipping her God amongst her fellow-creatures. We thought it prudent to dissuade her from the attempt, though it was evident her heart was longing to join in the public act of devotion and praise. She walked a little in the afternoon, and meeting with a sheltered and comfortable seat near the beach, she begged we would leave her, and enjoy the various scenes near at hand, which were new to us but familiar to her. She loved the place, and wished us to share her preference.It closed with the most glorious sunset ever witnessed. The castle on the cliff stood in proud glory gilded by the rays of the declining sun. The distant ships glittered like burnished gold; the little boats near the beach heaved on the ebbing tide, inviting occupants. The view was grand beyond description. Anne was drawn in her easy chair to the window to enjoy the scene with us. Her face became illuminated almost as much as the glorious sun she gazed upon. Little was said, for it was plain that her thoughts were driven by the imposing view before her to penetrate forwards to the region of unfading glory. Charlotte as much of your company as you can.’ She then thanked each for her kindness and attention. Ere long the restlessness of approaching death appeared, and she was borne to the sofa ; on being asked if she were easier, she looked gratefully at her questioner, and said, ‘It is not you who can give me ease, but soon all will be well through the merits of our Redeemer.’ Shortly after this, seeing that her sister could hardly restrain her grief, she said, ‘Take courage, Charlotte; take courage.’ Her faith never failed, and her eye never dimmed till about two o’clock, when she calmly and without a sigh passed from the temporal to the eternal. So still, and so hallowed were her last hours and moments. There was no thought of assistance or of dread. The doctor came and went two or three times. The hostess knew that death was near, yet so little was the house disturbed by the presence of the dying, and the sorrow of those so nearly bereaved, that dinner was announced as ready, through the half-opened door, as the living sister was closing the eyes of the dead one. She could now no more stay the welled-up grief of her sister with her emphatic and dying ‘ Take courage,’ and it burst forth in brief but agonising strength. Charlotte’s affection, however, had another channel, and there it turned in thought, in care, and in tenderness. There was bereavement, but there was not solitude; – sympathy was at hand, and it was accepted. With calmness, came the consideration of the removal of the dear remains to their home resting-place. This melancholy task, however, was never performed; for the afflicted sister decided to lay the flower in the place where it had fallen. She believed that to do so would accord with the wishes of the departed. She had no preference for place. She thought not of the grave, for that is but the body’s goal, but of all that is beyond it. Great post as always! I never ever tire of reading what Ellen wrote about the end of Anne’s life. Anne’s witness to faith, hope, and charity along with her gentleness was a greater gift to the world than anything she wrote. Perhaps greater than anything she might ever have written had she had more time. In a very real sense, it is a gift that keeps on giving. It’s a living witness that transcends the rigid limits of time. Her pen might be silent but we still hear her voice and feel her presence. That is the real reason why so many love her.